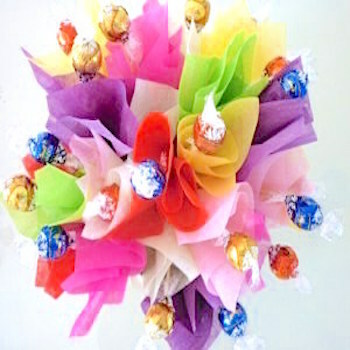 FB1 Chocolates Bouquet Arrangement of Lindor Chocolates balls enhanced with colourful and bright florist tissues. 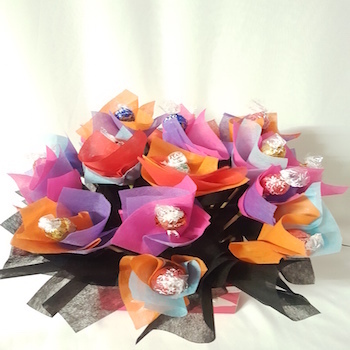 Each chocolate is arranged as if each chocolate is a flower in a bouquet box. Ultimate gift for lovers, chocolate lovers and those who loves to make a impression on special occasions. More Lindor Chocolates can be added on upon request.